After school clubs are a great way to develop kids in different areas. Depending on the club that is created kids can grow in the area of the club such as science, math, history, or the like. 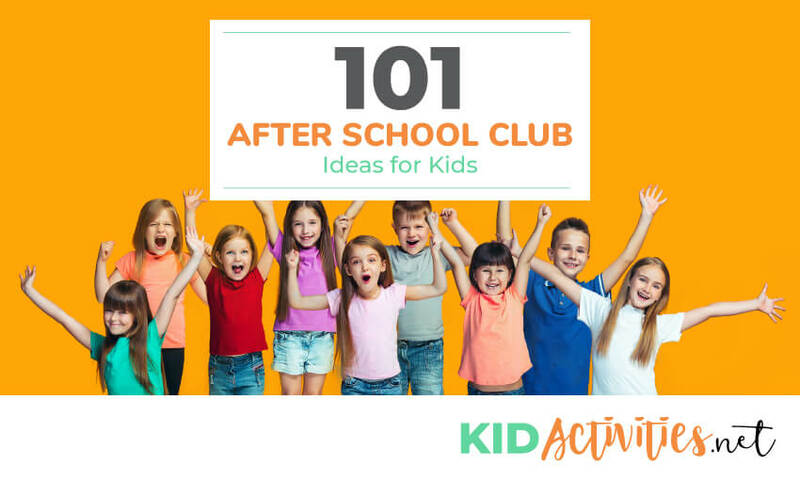 These after school club ideas are sure to help children develop socially as well as help them learn to work as a team and move ideas forward which will serve them well throughout their life. 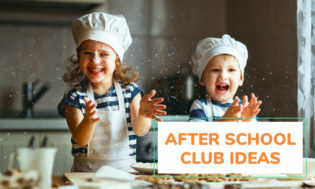 DO YOU INCLUDE CLUBS IN YOUR BEFORE AND AFTER SCHOOL PROGRAM? Why Should You? Oh! So many reasons! WHERE DO YOU START? HOW DO YOU GO ABOUT COMING UP WITH KIDS CLUB IDEAS? Meet with staff to discuss and list interests, hobbies, talents and skills. After compiling all ideas, decide with staff members which club ideas they would be comfortable sharing with the children. Some interests may be cooking, sewing, sports, games, or parties. Other staff may have skills with languages, dance, science and nature. Each year the list will be as varied as the caregivers themselves! What is a Topic Club? A TOPIC CLUB usually has one focus. Example: In a ‘Sports’ Club,’ youth would learn about a sport and improve skills… . Example of a Science Topic Club… In a TOPIC Science Club, the primary objective would be whatever the projects/experiements include. It could follow the basic steps that make up the Scientific Process. • Math, and so on! Anti-Bully Club or Anti-Bullies Unite! Cooking Up a Storm Club! I Love _________! I love “Butterflies”, “Pumpkins”, “Dogs”, “Monkeys”-“Whatever”! Let’s Just Have a Party Club! FIND OUT WHAT THE CHILDREN WANT TO DO! Involving children in program planning is a vital part of quality school-age care curriculum. Ideally, children’s input begins with the introduction of the year, when limits, boundaries, and expectations are introduced. It is never too late however, to engage the children ideas into this year’s schedule of activities. With experience, comes the knowledge of knowing what the children may like to do. Incorporating the children’s vision promotes a feeling of belonging, as well as stimulating enthusiasm, anticipation, and creativity. Along the way– altruism, leadership, and a spirit of cooperation are realized. At the beginning of the year, post a flyer inquiring, “Who’s interested in planning this year’s activities? Tell us what you want to do!” It doesn’t matter how many children sign up, but it will give you a list of your organizers. If it’s well into the school year, it is most likely apparent who your child program leaders are. Talk to them and other interested kids; inform them of a meeting to brain-storm ideas. Be sure all other children are aware of the meeting by posting an ‘attention getting notice,’ announcing the purpose, day, and time. At the meeting, empower the children. This is their time to talk about their ideas and wants. Use ‘interest surveys and questionnaires’. Provide each new family with an informational program packet. Include a short questionnaire for parents regarding their children’s interests. Also, occasionally give children an interest form, to indicate things that they like to do in and out of the program. Use a program suggestion box. Have the children decorate a box with a removable cover or slot to use specifically for program ideas and comments. It doesn’t matter if only one suggestion is put into the box, because in addition to receiving ideas, this shows families that we care! You may find that you’ll need to explain to some of the younger children what a suggestion is! Be sure to always address the suggestions you receive. QUESTION OF THE WEEK: Post a question of the week on various program topics. Have children put their responses in a large closed envelope or the covered suggestion box. Participation can be anonymous, with ideas and thoughts announced at the end of the week, or the beginning of the following week. A children’s committee can also be formed to compile and post weekly idea contributions. Another similar idea would be to put up a large sheet of roll paper. At the heading, either ask a different question each week. GRAFFITI WALL: Place a large sheet of roll paper in area where there are no black boards or whiteboards. On the paper write title ‘Graffiti Wall’. √ Things That Make Me Happy! The wall is a good tool for thought and spontaneous sharing. Consider hanging the wall where kids line up during transition times. Keep a box of or markers near the wall. The children can write while waiting. The wall can be changed each week, or when written sharing has been completed! As a staff project, compile Activity Choice Books to be kept on site. From time to time, the children can look through the books and choose activities that appeal to them. The books can be divided into sections that include: art, crafts, seasonal choices, science, nature, cultural diversity, themes, clubs, word games & literacy ideas, indoor & outdoor games, etc.This is also a wonderful resource for staff to review and use often! Early in the program year,another method is to put about twenty-five sheets of paper on the wall, with a pre-heading of topic sentences such as: ‘I like to cook’; ‘I like to help other’; ‘I like to play gym games’; ‘I like to walk’, etc. These statements can be incorporated with more specific sentences such as ‘I have blue eyes.’The children will think you’re doing a survey; however, as well as learning more about each other, information will be given to you regarding the children in your program. After the wall questionnaire has been completed, use the sheets of paper as a spring board for ideas. You can look at the cooking section and say, ‘I see a lot of kids like to cook. How would you like to have a cooking club? You can continue through various popular topics. With this method, it is still advisable to form a ‘planning committee’ using the wall as a source. This reinforces empowerment. Programs have also used this method successfully well into the school year, to spark children’s input of ideas. Meetings, talking, just hanging out! All children are unique. Building rapport with each child will help you plan a curriculum with their interests in mind. Children may say that they only want to color, play outdoors or in the gym; however, getting to know them as individuals will help provide quality programming based on their individuality. Be sure to use different methods each year! 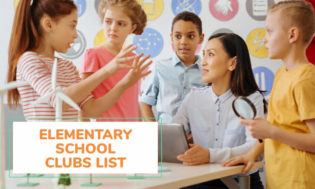 Now that you know what staff members and teachers like to do and you know what your kids are interested in… it’s time to PLAN YOUR CLUB! REMEMBER FOR A ‘THEMATIC CLUB’, activities can be offered that include: arts & crafts, community service, computers, cooking, gym, drama, games, books/reading, outdoor activities, movies, science, writing with journals/letters/poetry, visitors, etc. Why Don’t Some Activities Work?